Hey everyone! & Happy New Year! How were all of your holiday’s and new years? I’m still abroad and looking forward to filling you in on all my travels but for the time being I wanted to share with you some of my goals for the year – a few of which are blogging related! I constantly yo-yo between loving my body and completely detesting it. I really want to lose some weight and get toned. I’ve been hitting the gym everyday whilst at Uni and eating healthy I really enjoy the gym when I do go so I just need to keep that motivation going! I really enjoy following new blogs and commenting on blog posts so I want to do more of this and discover bloggers who inspire me. I know a lot of blogger’s say it isn’t all about followers and I do agree, however, a follower count is a great indication of how popular your posts are and how well your doing your blog as a blogger. If my posts are great it will attract more readers. I want to blog better and grow a wider audience, if you want that too there’s nothing wrong with that! I’m constantly travelling and I hope to always be discovering new places. So it is my goal to visit 3 different cities/countries. If you have any suggestions then please do let me know! I’ve been working on and off on a novel for around two years now. I really do love writing, I just need to set aside time to do it and really get these words on the page. It’s my lifelong dream to become a published author and I hope I can do it. I’m 20. So I don’t have much monetary knowledge but I do know that I spend more than I should on material items like clothing and make-up – this year you’ll be seeing less ‘new make-up/clothes’ posts and more working with old products but new looks, more travel etc. I hope that’s gravy with you guys. I’m going to save my money for a rainy day and for travelling. I love to work as long as it’s something I’m passionate about. I’m going to be applying to a lot of places to work at over the summer. I hope to do something related to fashion/travel and journalism. Although I would also love to work for a charity that I’m passionate about too. This has been on my bucket list for so long and it isn’t that I’m scared it’s just that I haven’t booked it. But to give myself that kick up the arse to get going I’ve created a CrowdRise paige to help fundraise money for my sponsored Sky Dive. I’m doing the dive for Charity Water – they work towards providing clean water to people in need. $30 provides enough water to a person in need for a month. I hope to make a difference by ticking something off my bucket list and taking out some charity work. What are your goals for this year? Blogging or otherwise? 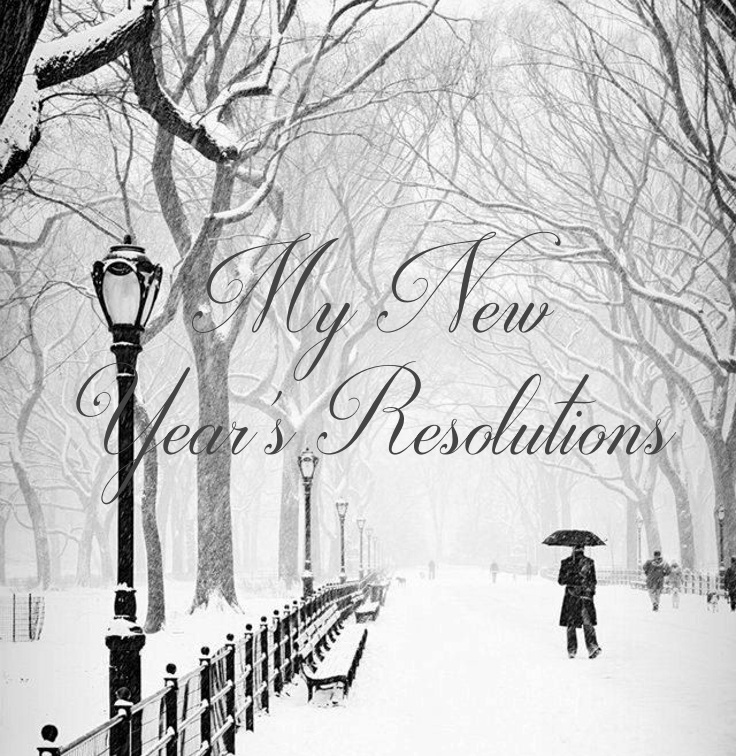 Are you doing any resolutions that sound/are similar to mine? Let me know down below!